While Sudan’s President Omar al-Bashir won’t be visiting Malaysia due to “other engagements,” it looks very likely that he will, in fact, be visiting China. 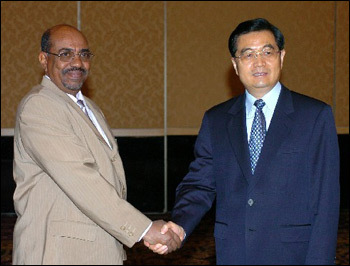 The Chinese Foreign Ministry has confirmed that Bashir, wanted by the ICC for his role in the crisis in Dafur, would visit later this month. The US has implicitly supported the decision. That Bashir is seeking to make an official visit to another country, despite the ICC arrest warrant against him is, of course, nothing new. But, for a number of reasons, his upcoming China visit is much different than his foreign forays to Kenya, Chad, Djibouti and so on. This post is an attempt to examine this potential trip in the context of the relations between all four key actors involved: China, Sudan, the ICC and the US. If Bashir visits China, it will be the first time since the warrants were issued that he has visited a member-state of the UN Security Council. Implicit in this is the fact that this will also be the first time he visits a state with international power of this magnitude . 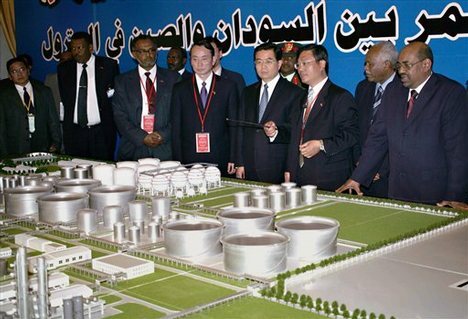 He will also be visiting one of the single largest investors in Sudan, especially when it comes to oil (see also here). There is a general trend – little analyzed and rarely considered in mainstream coverage of Chinese relations in Africa – that China often increases its dealings with states that the West has deemed illegitimate economic and political partners. China does not face such pressure. This is, at least in part, due to China’s repression of domestic human rights groups combined with the fact that its human rights advocates, understandably, focus on domestic respect for human rights. In short, this means that little focus is left for questionable international dealings by China. As such, it appears that every time the “West” closes up shop in states which fail to protect their own people, China sees an opportunity. 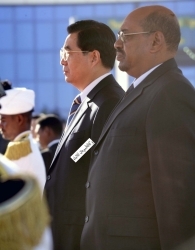 This reality and the economic relationship between China and Sudan is central to any informed discussion on Bashir visiting China and future peace in Sudan – both in Darfur and between the South and North. China’s role in the international community is at a cross-roads. Its ventures into Africa, impressively chronicled by Chris Alden, have brought its traditional principles of national sovereignty and non-intervention into conflict with its increasingly overt political role. While the country’s advocacy of these principles may have always been more “myth than reality”, China will not be able to escape questions as to its increasingly frequent and ever-more politically intrusive international forays. The common view in the West is that China is a country to be weary of. There are uninformed undertones of paranoia that China will take over the world and destroy the liberal, democratic and human rights-respecting international system the West has painstakingly built following WWII. Much of this comes from a displacement of attitudes following the Cold War. The West, especially the US, no longer had an arch-enemy. Little understood and ever-growing, China presented – and continues to present – a perfect target for the politics of fear. Drawing on these conceptions of China, there is a prevailing view that China is fundamentally opposed to the International Criminal Court. This popular presumption of China’s attitude feeds on the mainstream accounts of human rights violations in China, of which there are undoubtedly many, and on China’s consistent declarations that it holds the principles of national sovereignty and non-intervention as golden rules in the game of international politics. However, as I have explained before, China’s relationship with the ICC has at times been productive and positive. China, of course, is not a member state of the ICC and it was one of only four states to vote against the Rome Statute in 1998. China has had significant disagreements with the Court over various issues, including the definitions of crimes under its mandate, the role of the UN Security Council, the powers of the Court’s Prosecutor, as well as its jurisdiction. Many of China’s dissenting views have been reconciled with the notable exception of its fear that the Court could become a political tool, something that – perhaps ironically – the Court’s greatest advocates also fear. During the Rome Statute negotiations in 1998, China participated actively. Since then, it has been an engaged partner in the ICC’s Assembly of States Parties and has, on occasion, voiced impressive political support for the Court. China has stated that it believes that the Court should play a role in contributing to international peace and security. In this contest, it’s important to keep in mind that China voted in support of referring the situation in Libya to the ICC. While this may come as a surprise to many, China has even suggested that its accession to member-state status is a realistic possibility. Unfortunately for advocates of the ICC who have impressively and persuasively contributed to Bashir changing his travel plans, it is unlikely to happen with China. This is not to sound defeatist or to discourage anyone from trying, but China is perhaps the best country at ignoring the international human rights community. The long time situation with the Dalai Lama and Tibetans as well as, more recently, the detention of Ai Wei Wei are a testament to this unfortunate fact. If Bashir visits China, it would be a significant defeat for advocates of the ICC, and not only for those who imagine the Court as existing in some type of dreamy political vacuum. The US is clearly trying to stake out a realpolitik approach to Bashir’s visit. 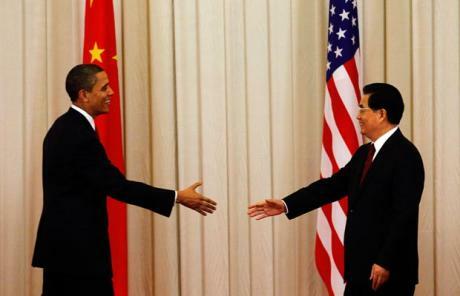 They recognize that, in this instance, Chinese and American interests converge. 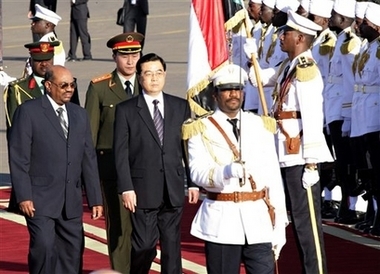 China and the US, in the case of Sudan, are awkward bed fellows. Where China has invested economically in Sudan, the US has invested politically in ensuring the peaceful division of the North and South as well as a resolution to the crisis in Darfur. It would have been incredibly unlikely, if not simply impossible, for South Sudan to be celebrating independence had it not been for the role of the US in negotiating with Khartoum. With recent violence in Abyei and Unity State, however, the North-South peace in Sudan seems more fragile than ever, prompting emergency peace talks last week. Both China and the US need peace in Sudan. Of course, the question remains as to why the Obama administration is so explicit in its support for Bashir’s visit to China. It wouldn’t have been a surprise to anyone if they had chastised China publicly while providing approval through back-channels. Indeed, the administration’s position will almost surely alienate a significant section of the human rights community in the US, which is particularly forceful on the question of Darfur. This community, rightly or wrongly, will disagree with the US position based on their doctrinal rejection of “peace before justice” in Darfur. This entry was posted in China, Darfur, ICC Prosecutor, International Criminal Court (ICC), Sudan, United States. Bookmark the permalink. 1 Response to Bashir to Visit China, US endorses it: But What Does it Mean?